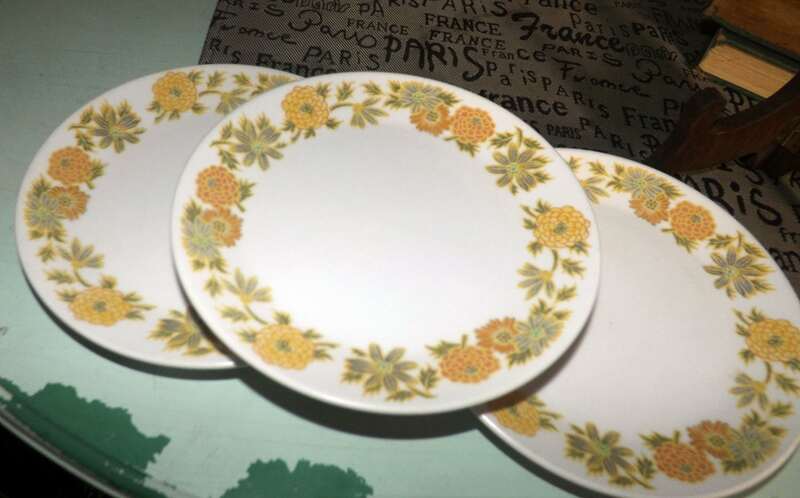 Vintage (1970s) Noritake Sunny Side 9003 bread-and-butter, dessert, or side plate. Progression stoneware. Yellow, green, orange flowers. 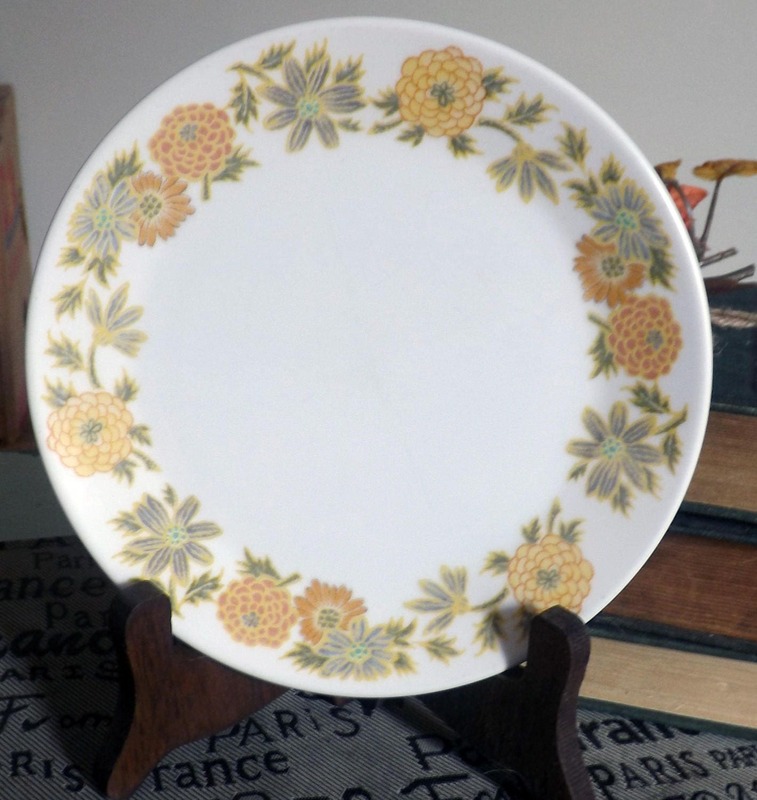 Vintage (1970s) Noritake Sunny Side 9003 bread-and-butter, dessert, or side plate. 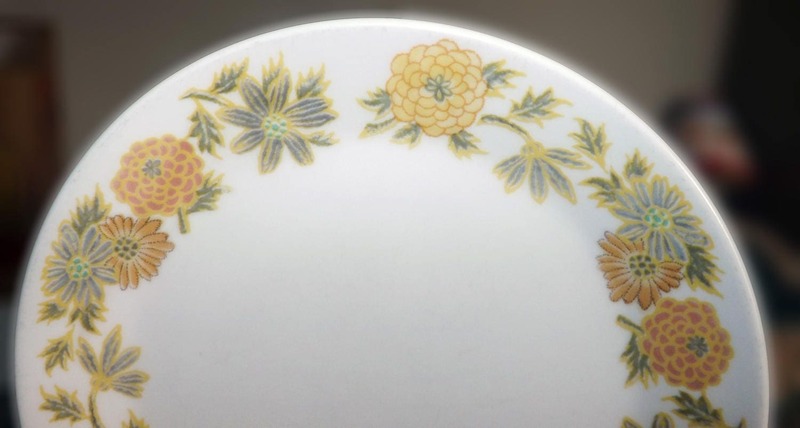 Made in Japan and part of Noritake's Progression line of stoneware, Sunny Side 9003 features large yellow, green and orange flowers set onto a white ground. In EXCELLENT! condition with NO! chips, nicks, cracks, or fleabites and NO! marks, stains, scratches or other signs of use or wear. The yellow, green and orange flowers are bright and vivid with NO! noted fading. 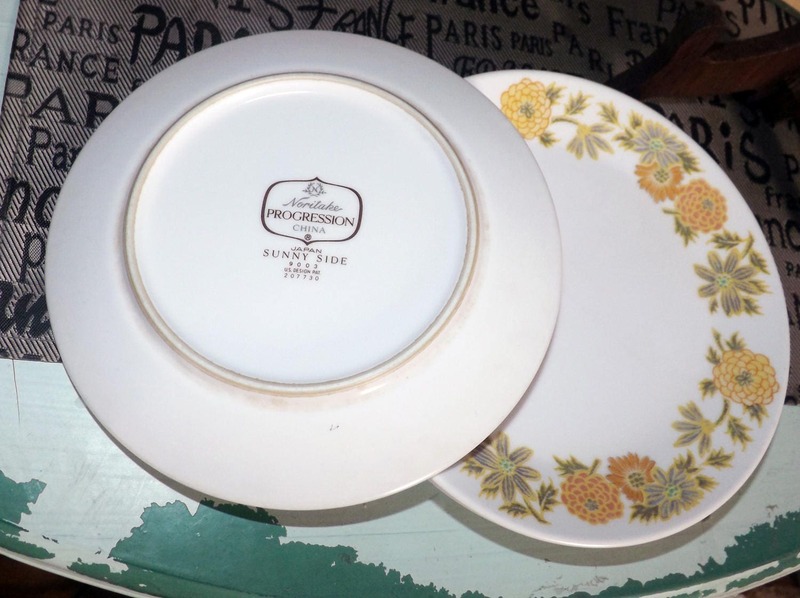 Approximate measurements: plates are 7" in diameter with a slightly coupe shape. 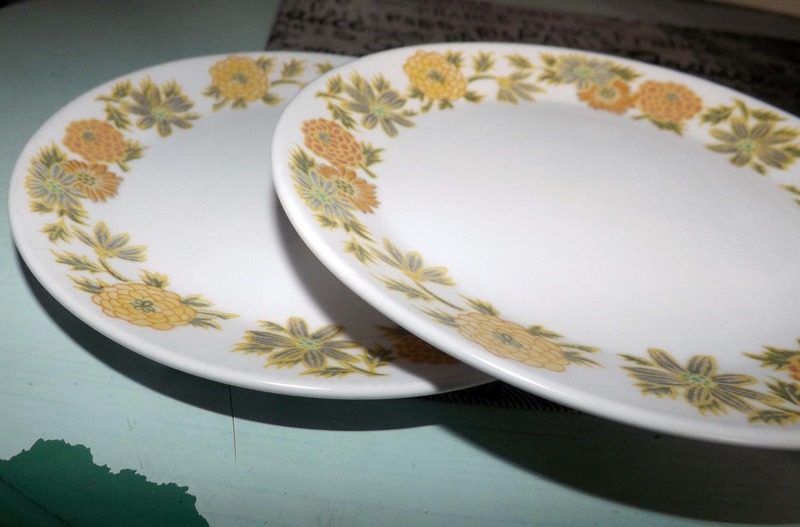 THIS LISTING IS FOR ONE (1) BREAD-AND-BUTTER PLATE. Currently, more than one plate is available in the shop.